An Israeli startup has sued Apple, accusing the iPhone maker of copying its patented smartphone camera technology. 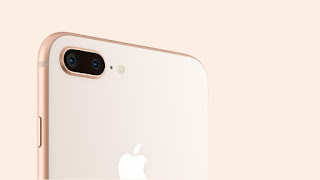 Corephotonics, which has raised $50 million from several high-profile venture capital firms and other investors, said its patented dual camera technology for mobile devices was incorporated by Apple in the iPhone 7 Plus and iPhone 8 Plus without its authorisation. According to the lawsuit, Corephotonics Chief Executive David Mendlovic approached Apple about a partnership. Apple praised the startup's technology but refused to license it, Corephotonics said, even suggesting it could infringe the latter's patents with little consequence. According to the complaint, "Apple's lead negotiator expressed contempt for Corephotonics' patents, telling Dr. Mendlovic and others that even if Apple infringed, it would take years and millions of dollars in litigation before Apple might have to pay something." An Apple spokesman did not immediately return a request for comment. Many high-end smartphones include dual camera systems that can zoom in without losing image quality. Apple has its own patents on dual camera technology. Through its latest funding round in January, Corephotonics raised $15 million from investors that included Samsung Ventures, electronics manufacturer Foxconn and chipmaker MediaTek. Foxconn is one of Apple's contract manufacturers. Apple is considering MediaTek as a chip supplier, according to the Wall Street Journal. Corephotonics' other investors include Magma VC, Amiti Ventures, Hong Kong billionaire Li Ka-shing and Solina Chau's Horizon Ventures, as well as flash storage maker SanDisk and Chinese telephone services provider CK Telecom.